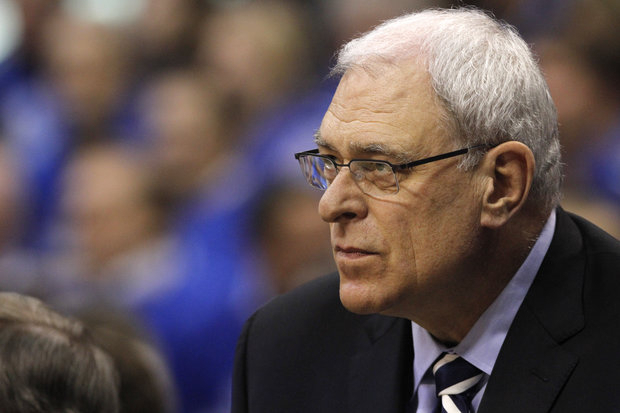 It has been 15 years since Phil Jackson rode out on his motorcycle and ended his coaching career in Chicago. He continued his success after his six Bulls NBA Championships with the Lakers and earned five more rings. Now at the age of 67, he has authored a new book aptly titled, "Eleven Rings: The Soul of Success." Jackson held court about his new book at the Trib Nation&apos;s Printers Row session conducted by the Chicago Tribune&apos;s beat reporter K.C. Johnson. An audience of dignitaries, including new Bears head coach Marc Trestman, and a large group of fans filled the Palmer House Hilton Ballroom. Before the event, I was privileged to be granted a one-on-one with the “Zen master” himself-Phil Jackson. The essence of the book is found in the subtitle, The Soul of Success. “[It&apos;s about] trusting, nurturing your spiritual side and allowing that side to be part of your business life,” Jackson said. What the former NBA coach found interesting was the focus of some reviewers is centered on the fact that he “finally” sided with one of his superstars, Michael Jordan, over another, Kobe Bryant. Jackson said he was not saying one was better or best, but different and great. He attributes it to the way our society measures success “winners take all and losers lick their wounds” and Jackson says some his most successful seasons came from losing. Of course, the bulk of our conversation was about the Bulls, both past and present. Jackson appreciated the terrific play from his big time stars: Michael Jordan’s heroics, Scottie Pippen’s flashes of brilliances and Dennis Rodman’s rebounding. He found a true appreciation for the “little things” such as Jud Buechler and Steve Kerr having the opportunity to hit a big three-pointer. Jackson pointed out the fact those two bench players and others had a high level of professionalism to play the roles they were given. As the conversation steered towards this current Bulls team, he mentioned the team’s injuries have been an impediment. Additionally, he believes presently the Bulls don’t have “all the pieces” yet. Jackson was complimentary to the high level of play by Jimmy Butler and Marco Belinelli. He looks at how well his former player, now team President, John Paxson has assembled the team, especially with all the salary cap implications. Looking at this Bulls roster, I had to ask Jackson if there are one or two players he would like to coach. The first player he mentioned was center Joakim Noah. “He is a player that is really good on a ball club he leads the team through his energy and his vocal capabilities,” Jackson said. There were two other Bulls he brought up: Nate Robinson and the way he could win or lose a game but inspire a team and Kirk Hinrich&apos;s overall play. Needless to say, there was one other player to discuss: Derrick Rose. Jackson believes you have to trust a player’s instincts about their physical and mental status, otherwise he could have a “misstep” that could be more detrimental to the player’s career. As to Jackson&apos;s career and a possible return as a NBA coach, he maintains that is not in his future. There is no doubt he could, however, the travel and physical ailments are a huge roadblock in his mind.